In interior design, accessorizing is considered as the ‘icing on the cake’. It refers to the finishing touches, the items of color, shape, size, and texture that complete the look or enhance the feel of an area of the home. Accessories can make a big visual impact, or make the style you are going for very memorable to the viewer. 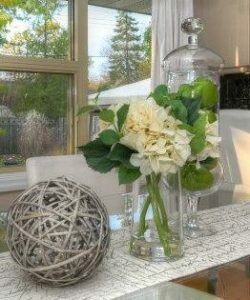 In professional home staging, accessories play a very important role in appealing to the emotions and senses of potential home buyers, and if the right accessories are selected, home staging efforts can be additionally effective. During the planning stages and discussions with your professional home stager, a specific budget and strategy for accessorizing would likely be determined and set aside. This is a good idea in order to avoid splurging too much money and effort on purchasing the main furniture pieces or fixtures of a room or area of the house, and then ending up with little to no resources for the finishing touches and accessories. 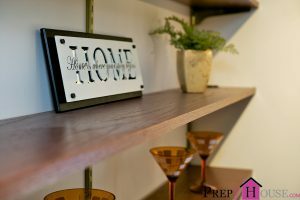 Shelves and display cases – Books are excellent accessories for shelves and display areas around the house. They also add personality and character to the space, and books and magazines can be selected to reflect regional or cultural flavors (i.e. historical books about your town). Layering is the key – You can kind of think of accessorizing in the same way you complete a clothing ensemble with some layered clothing. The results will not be successful if the basic steps are not completed first. Renovations, repainting jobs, lighting replacements, and other things to be fixed or arranged should be in place first before you add the final touches of accessories. Accessories are accents – Look around the home and zero in on those nooks, corners, and spaces that need a decorative finish. Keep in mind that accessories are usually not meant to take away the focus or attention from the main focal point of a room or area; if you install an accessory and it is getting all the attention, it becomes the main attraction rather than the complementary element. Don’t do too much – As mentioned above, accessories are supposed to complement, so avoid accessorizing too much. Keep it simple and minimize the clutter, but make sure the decor of the area is completed by the accessories. Colors can be bright or bold, but they should still blend in or work with the overall style of the home. Our House is not Selling! Revamp Your Bathroom Without Going Broke!